The deadline to register for the 2016 Innovation J-Camp is fast approaching. May 27 is the last day to register online. Only eight spots remain for this year’s J-Camp. 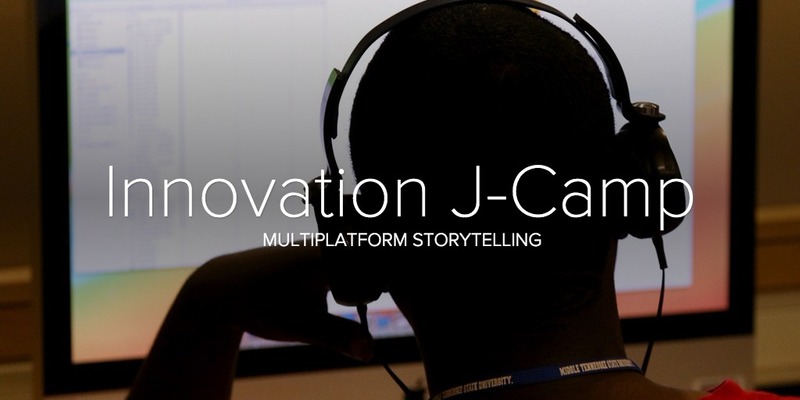 Innovation J-Camp will be held July 11-15, 2016 in the Center for Innovation in Media at the College of Media and Entertainment at Middle Tennessee State University. The workshop will teach high school students to be innovative digital storytellers, able to produce stories for multiple platforms including: video, web, mobile and print. Participants will use the latest video, audio and mobile gear to produce a package of multimedia stories for posting on a website they will build during the camp. Canon USA is a sponsor of the camp and will provide the latest digital video cameras. Students at this year’s J-Camp will get hands on experience with Adobe Slate, Adobe Premiere, Adobe Photoshop and WordPress. Innovation J-Camp and the Center for Innovation in Media use Adobe Creative Cloud exclusively for editing photographs, audio and video. In additional to Adobe’s legacy products like Photoshop, Premiere and In-Design, the Creative Cloud has opened up a whole class of mobile apps for creating stories. One of the apps J-Campers will use this summer is Adobe Slate. Slate is an app that can accessed on a browser or through an iPad. The app allows users to create scrolling, interactive and mobile focused visual stories. Day two of J-Camp is Photojournalism Day. 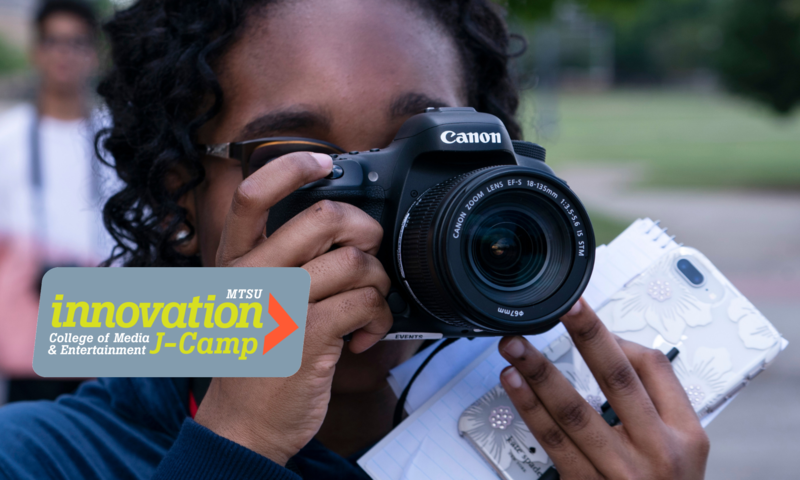 J-Campers will learn to use DSLR cameras, shoot the best image and do a hands-on photo assignment. Students will create an Adobe Slate project with their photos. Adobe Slate is easy to use, mobile friendly and free…all you need is a free Adobe account. 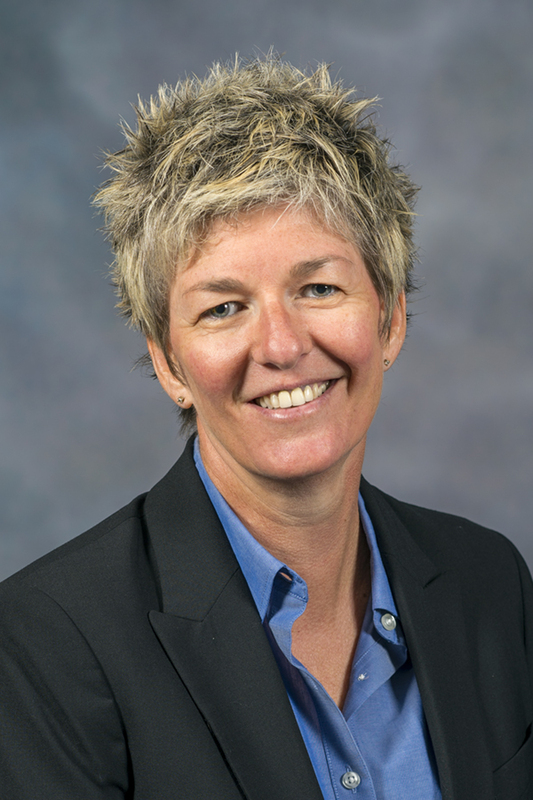 Listen to the On the Record podcast with host Gina Logue and Val Hoeppner, director of the Center for Innovation at Middle Tennessee State University. Hoeppner talks about her career and how media has evolved in the digital age.